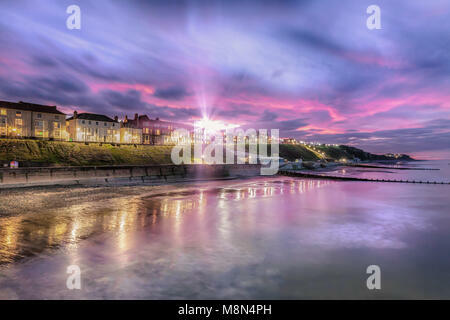 Cromer In Pink - Panoramic view of British seaside town of Comer. 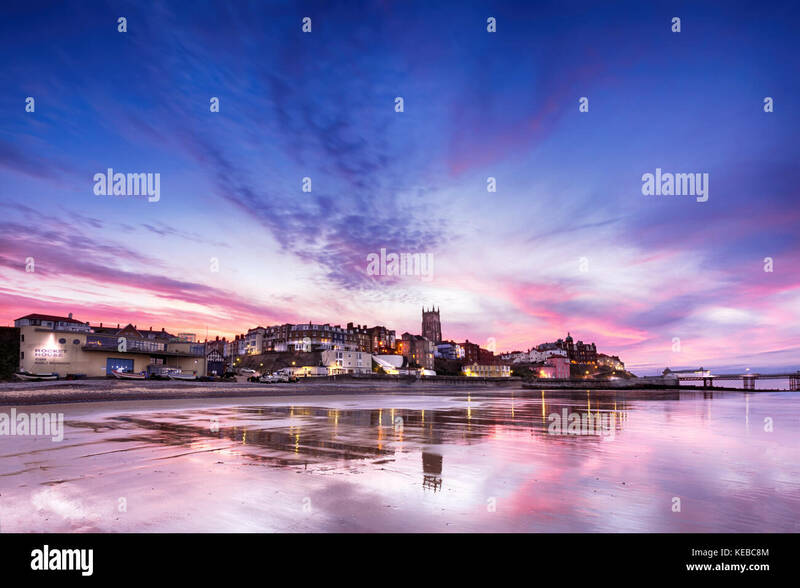 Fantastic sunset colours of pinks and purples with reflections of the town in the water. As dusk appears, so do the soft lights of streets and buildings. The impressive 14th Century parish church towers above the skyline and the pier juts out to sea ready for the evenings entertainment, or a lifeboat rescue launch. 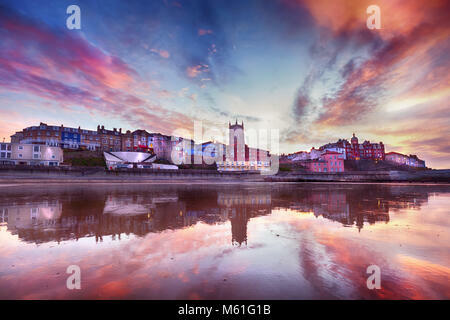 Cromer dates back to the 12th Century and typically relied heavily on fishing, now famous for its crabs. The Hound of the Baskervilles author, Sir Arthur Conan Doyle stayed in Cromer and it is believed to have been the inspiration behind the terrible creature, due to local legends. 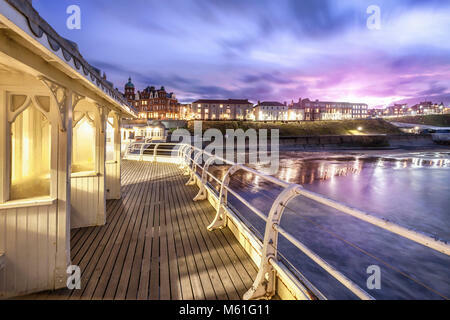 Cromer has one of the best piers in England and the only surviving end of pier show in Europe. The beaches and erroding cliffs are a treasure trove of ancient fossils including the biggest and best preserved mammoth skeleton ever found.